SAN FRANCISCO (December 27, 2017) – Tibetan independent filmmaker Dhondup Wangchen arrived at San Francisco International Airport on Christmas Day, 2017. He has been reunited with his family after having been separated for more than ten years during which he was held incommunicado, detained, imprisoned, and subjected to deprivation of political rights in the People’s Republic of China. He conveys his thanks to the governments, organizations, and individuals who made this day possible. 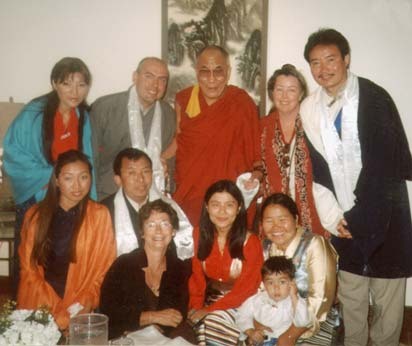 Dhondup Wangchen and Golog Jigme Gyatso made a documentary – Leaving Fear Behind – based on interviews with Tibetans in China between 2007 and 2008. 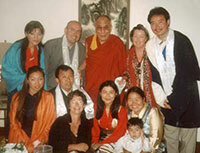 Dhondup Wangchen, now 43 years old, was taken into custody in March 2008 and formally detained in June the same year. He was convicted of inciting splittism and sentenced to six years imprisonment and three years’ subsequent deprivation of political rights by the Xining Intermediate People’s Court in Qinghai Province on December 11, 2009. He began serving his sentence in Xining Prison in 2010. In response to his faltering health, and due to international concern, the prison authorities in Qinghai Province transferred Dhondup Wangchen from Xining Prison to Qinghai Provincial Women’s Prison in late 2012. He received better treatment there, and his health gradually improved. Dhondup Wangchen was released from Qinghai Provincial Women’s Prison on June 5, 2014. He returned to his home village in Gansu Province where he served his three-year sentence of deprivation of political rights. That sentence expired on June 4, 2017. For questions, please contact John Kamm at jkamm@duihua.org or at 415-986-0536.